Yeah, yeah, there will be those that say the Dodgers are only beating less-than-stellar teams, and that’s why they are the best in baseball, 9-1, to start the season. All I know is THEY ARE THE BEST IN BASEBALL, 9-1. Nothing else matters. And Matt Kemp (or KEMVP as new T-shirts are proclaiming) is unbelievable! He leads the majors in like six categories, including batting average (.487), home runs (6) and RBIs (16). Are you kidding me? Those numbers are sick! Player of the Week both the first weeks! It’s a good time to be a Dodgers fan, even if McCrook still has his sticky little fingers on the crust of the pie. The Dodgers opened their season with a four-game series at Petco Park against the San Diego Padres. 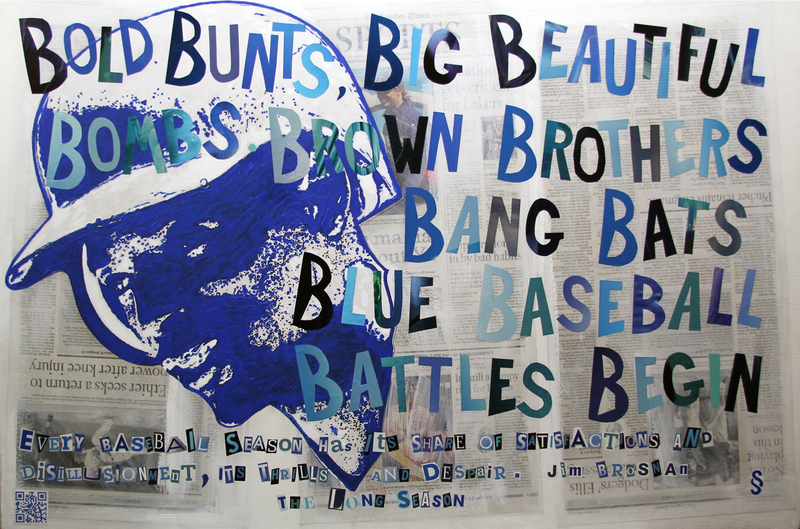 This alliterative painting marks a stellar season debut of shortstop Dee Gordon (pictured). The Dodgers had their best start since 1999, winning the first three games before letting the Friars have the last one. Homers by Matt Kemp and Andre Ethier bode well for the bats of the Boys in Blue. 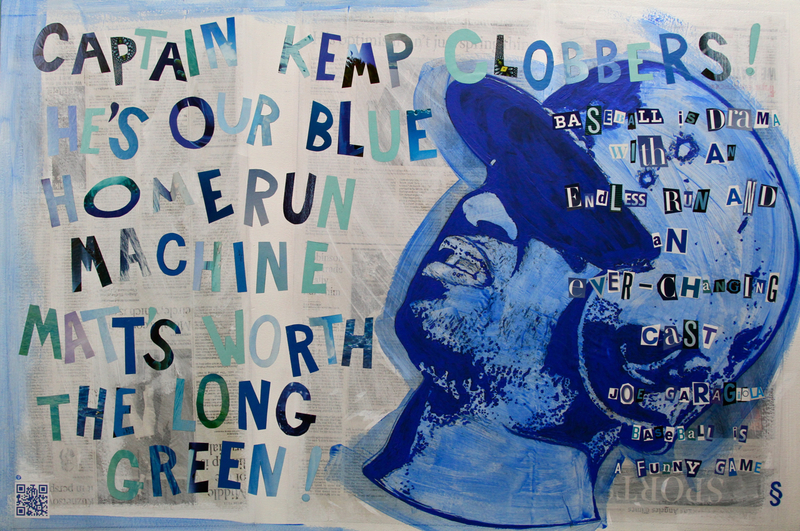 This year, as the 2012 season progresses, I will be posting my new baseball paintings as they are completed. For the exhibition Freeway Series between the Dodgers and the Angels, I present this first in a series of Baseball Bobblehead works. 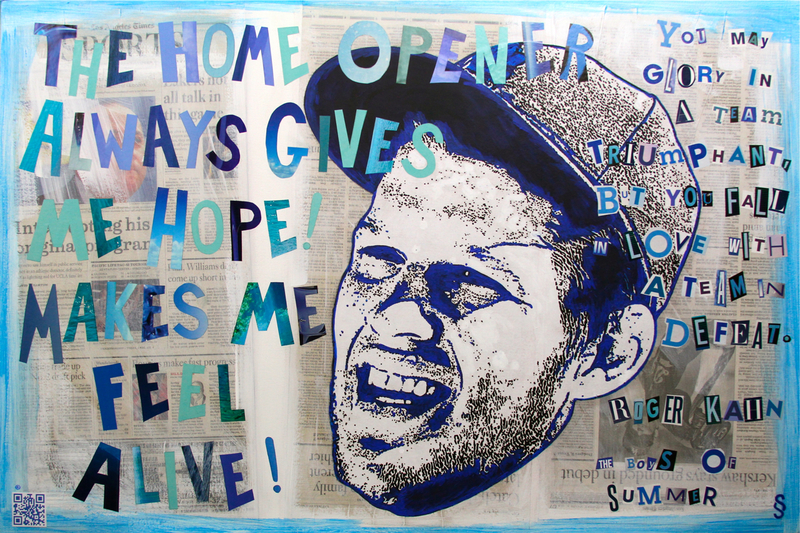 The paintings this year will break from the strict 17-syllable haiku, and will feature literary references about the national pastime.